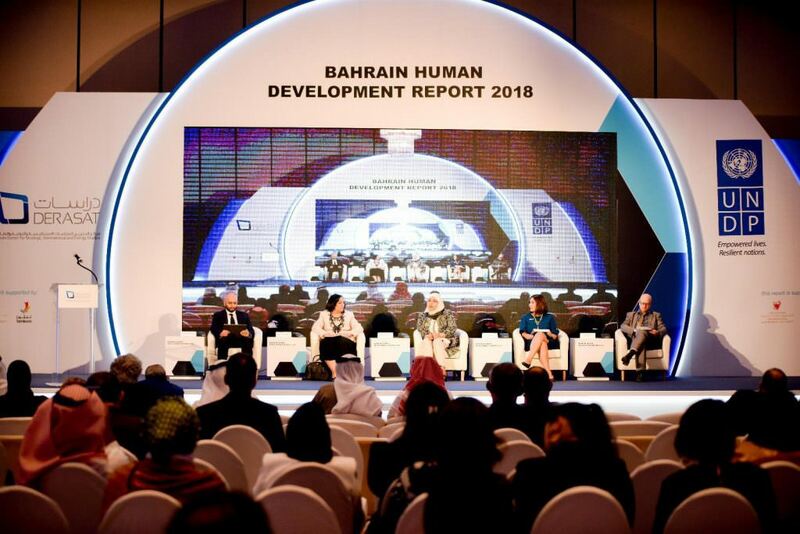 The Bahrain Human Development Report 2018 was launched with guest speakers and a panel discussion. 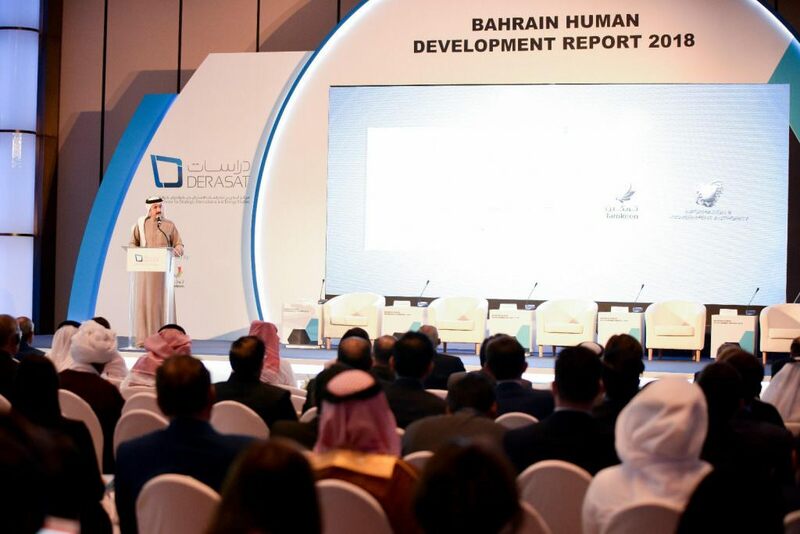 Launch of the Bahrain Human Development Report 2018. 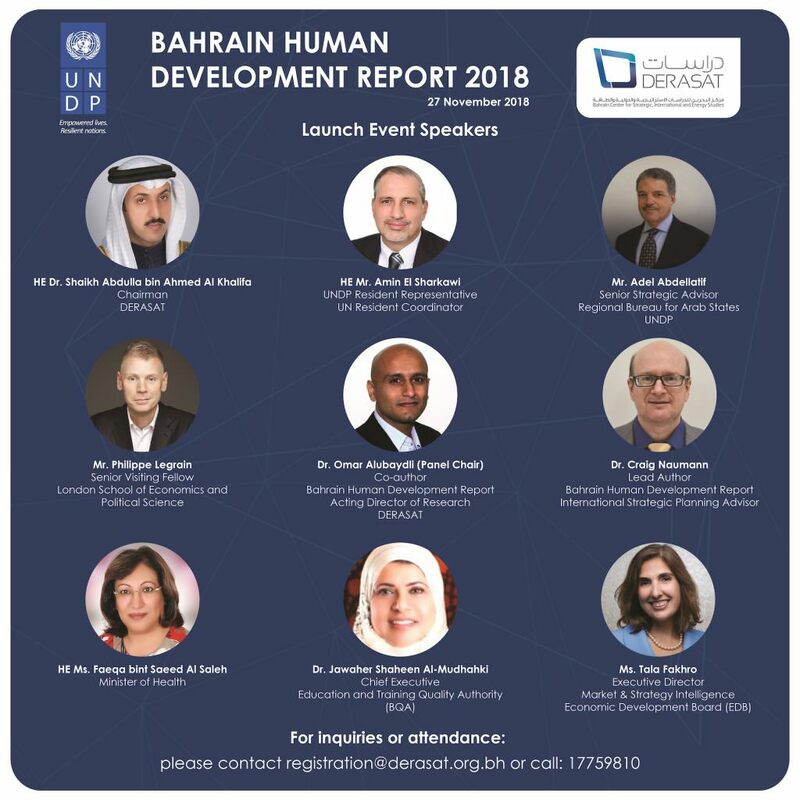 The Bahrain Center for Strategic, International, and Energy Studies (Derasat), in partnership with the United Nations Development Program (UNDP) and the Information and eGovernment Authority (IGA), and with generous funding from Tamkeen, will launch the 2018 Bahrain National Human Development Report (NHDR), with the theme: “Sustainable Economic Growth”. 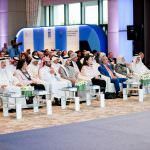 The Bahrain Center for Strategic, International, and Energy Studies (Derasat), in partnership with the United Nations Development Program (UNDP) and the Information and eGovernment Authority (IGA), and with generous funding from Tamkeen, has produced the 2018 Bahrain National Human Development Report (NHDR), with the theme: “Sustainable Economic Growth”. 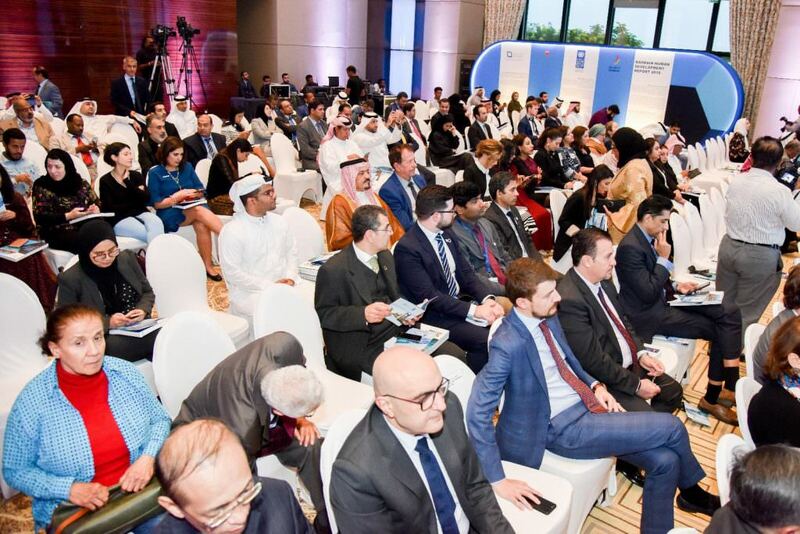 The 60,000 word report was authored by a team of specialist researchers, headed by independent development expert, Dr. Craig Naumann, and featuring three Bahrainis affiliated to Derasat: economist Dr. Omar Al-Ubaydli, economist Ms. Ghada Abdulla, and renewable energy specialist Eng. Abdulla Alabbasi. It covers the period 2005-2018. 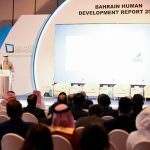 Bahrain launched its Economic Vision 2030 in 2008, at a time when global financial markets were still performing well, oil prices were buoyant, and the Bahrain economy was booming, including the realization of a persistent fiscal surplus. This indicates that the vision was not a knee-jerk reaction to a transient crisis; instead, it is a measured and well-crafted series of principles that can realize a prosperous future for Bahrain. 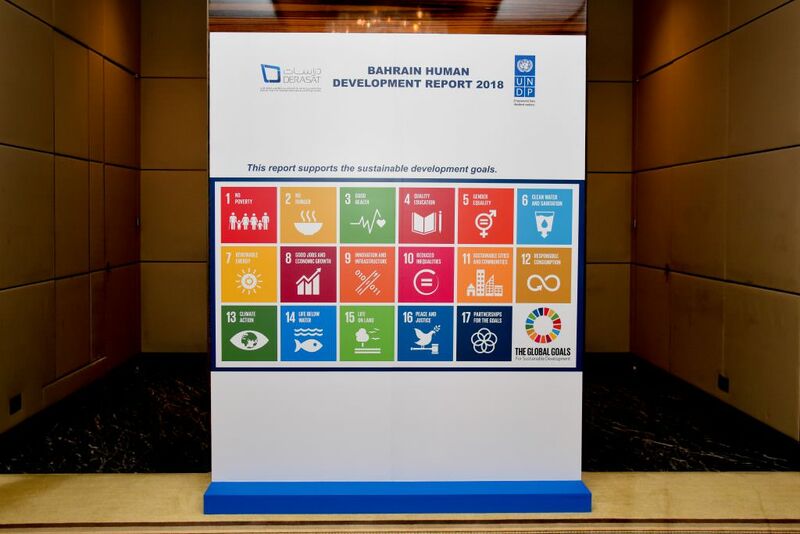 Further confirmation of the vision’s virtues appeared in 2015, when the UN Sustainable Development Goals were launched, as they shared many of the vision’s core tenets. In 2018, ten years after the vision’s launch, much has changed. The Bahrain economy has faced some difficulties, most recently the 2014 oil-price crash. However, the need to adhere to the guidelines set out in the vision remains pressing. 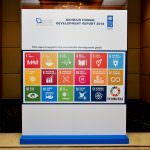 The NHDR is an effort to take stock of what has been achieved during the last 15 years, and to make proposals for future policies. 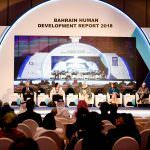 The report’s distinguishing trait–and its greatest source of added value–is that it is written by full-time researchers familiar with the cutting-edge insights emerging from the academic literature on economic development. This makes it an ideal complement to the plans, reports, and analyses produced by government agencies. The report covers a diverse range of issues pertaining to Bahrain’s economy, including: economic diversification; small and medium-sized enterprises; tourism; economic integration in the Arabian Gulf; education; research and innovation; macroeconomic policy; Islamic finance; the environment; fossil fuels and renewable energy; women’s contribution to the economy; and migrant workers. The report also features 40 recommendations for policymakers spanning all sectors, drawn from the authors’ in-depth knowledge of the Bahrain economy, which is itself a key source of added value in the report. The final draft is the culmination of over a year’s worth of bilateral consultations, seminars, and fora involving a wide range of stakeholders. Philippe Legrain is a critically acclaimed thinker and communicator with high-level policy experience. He is a senior visiting fellow at the London School of Economics and Political Science, the founder of Open Political Economy Network (OPEN), an international think-tank, and a columnist for Project Syndicate, Foreign Policy and other international media outlets. Previously, he was economic adviser and head of the team providing strategic policy advice to European Commission President José Manuel Barroso, special adviser to World Trade Organisation Director-General Mike Moore and trade and economics correspondent for The Economist. His four best-selling books include Open World: The Truth about Globalisation and Immigrants: Your Country Needs Them, which was shortlisted for the Financial Times Business Book of the Year award. 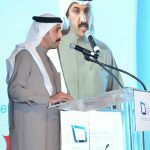 Dr. Abdulla bin Ahmed Al Khalifa was appointed Chairman of the Board of Trustees at the Bahrain Centre for Strategic, International and Energy Studies as of 31 January 2017, in addition to serving as Undersecretary for International Affairs at the Ministry of Foreign Affairs of the Kingdom of Bahrain, a post he has held since August 2015. Previously Dr. Abdulla held the post of Director General for External Communications (2014) at the Information Affairs Authority. Prior to this Shaikh Abdulla served as a political advisor to the General Secretariat of the Supreme Council for Defense (2011) and as a Legal Specialist at the Bahrain Economic Development Board from 2007-2009. He also served as a Research Assistant with the Dean of Law Faculty at Queen Mary College, University of London from 2008-2009. In 2015, Dr. Abdulla was awarded a PhD in International Relations and Diplomacy by the École des Hautes Études Internationales, France. In 2008, he earned a Master of Law (LLM) from Queen Mary College, University of London, UK, focusing on negotiation and mediation. In addition, he holds a Diploma in Political Development (Honors) from the Bahrain Institute for Political Development, Bahrain 2007 and a Bachelor of Law (LLB) (Honours) from the Applied Science University, Jordan 2006. Shaikh Abdulla is an international expert in Mediation, accredited by the Centre for Effective Dispute Resolution, London and is accredited as a Master Practitioner in Neuro Linguistic Programming by the United States’ National Federation of Neuro Linguistic Programming. Shaikh Abdulla has been Vice President of the Paris based, ‘French Bahraini Friendship Society’ since 2011 and a member of the Jordan-based ‘Arab Thought Forum’ since 2013. Mr. El Sharkawi brings over 25 years of professional working experience within the UN system on institutional capacity building and reform process, strategic planning, project results-based management, economic planning, entrepreneurial initiatives and as well as knowledge in issues of Energy, Sustainable Development, Digital Transformation and Governance, in addition to considerable knowledge of development issues in the Arab world. 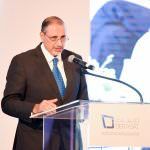 Mr. El Sharkawi had tenure in several Arab countries including, Syria, Libya Sudan, Egypt, Tunis, Yemen as well as in New York, and is highly conversant with UN systems at country levels and in New York. 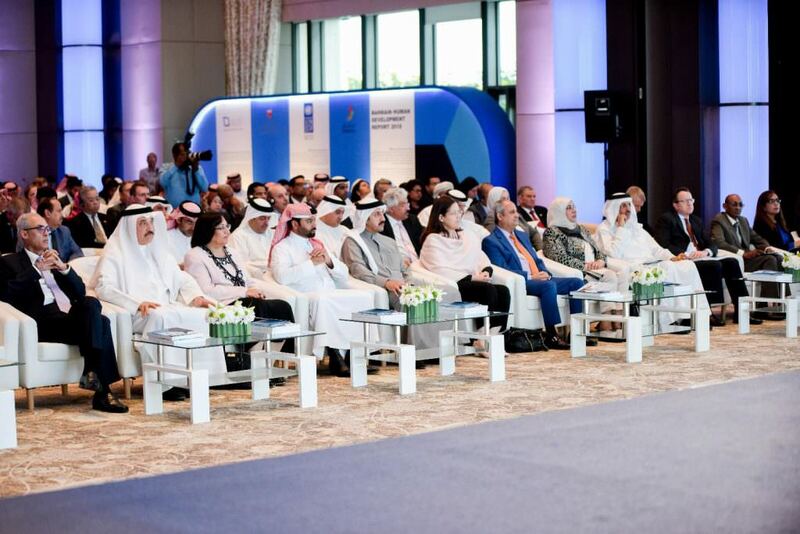 He advises on UNDP policies in the Arab Region to identify the programmatic priorities regionally and nationally and leads the strategy of implementing Agenda 2030 in Arab countries. He provides analysis of emerging trends and formulates strategies and briefings to UNDP leadership. 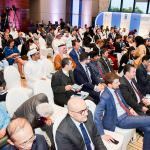 He took the lead in launching key UNDP Regional initiatives in the Arab Region since 1998 on Good Governance, Climate Resilience, Water Governance, Social Cohesion and Women Empowerment. He supervised the UNDP’s publication of several reports and papers. 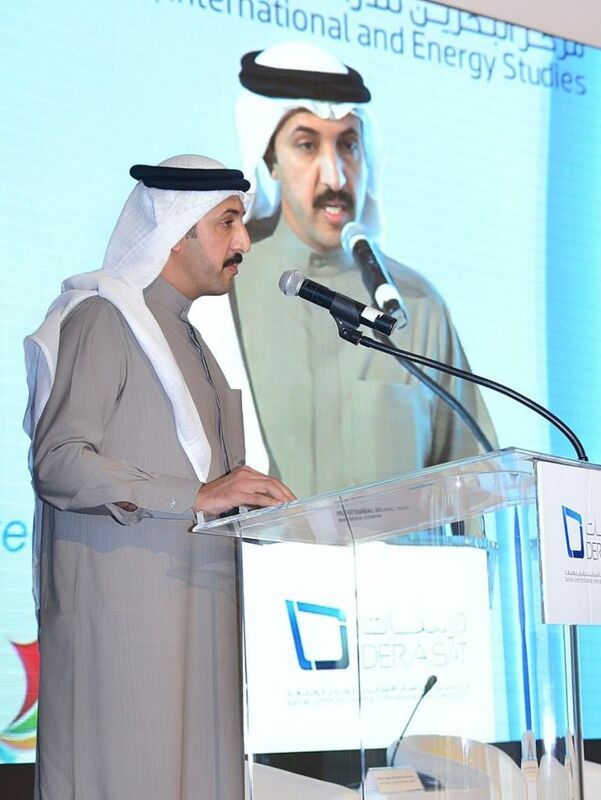 He also initiated the launch of the Arab Knowledge Report funded by the Mohammed bin Rashid Al Maktoum Foundation. Mr. Abdellatif came to UNDP following a two-decade career at the Ministry of Foreign Affairs of Egypt, serving in several embassies and earning the rank of Ambassador. He holds a doctoral degree in Political Economy from the Graduate Institute of International Relations, Geneva, Switzerland. HE Faeqa AlSaleh has held the post of Minister of Health since 2015 and prior to this was Minister of Social Development from 2014. Previously, she was Assistant Secretary General of the League of Arab States (LAS), Head of Social Affairs Sector (September 2012 – December 2014). She was in charge of supervising the Technical Secretariats of the Arab Ministerial Councils, namely, the Arab Social Affairs Ministerial Council, the Arab Health Ministerial Council and the Arab Youth and Sport Ministerial Council, In addition, as Head of Social Affairs Sector, Ms AlSaleh was in charge of supervising 7 departments at the LAS; Social Development and Policies, Health and Humanitarian Aid, Women, Family and Childhood, Youth and Sport, Education and Scientific Research, Culture and Dialogue of Civilization, Population Policies, Expatriates and Migration as well as the Social Field Studies and Survey Unit. Miss AlSaleh also worked as Advisor to the Secretary General of LAS and headed up the Arab Economic and Social Council Secretariat (October 2008 – August 2012). During her time with the LAS she was in collaboration with UN Agencies to implement social and humanitarian aid programs and field visits to Arab States. Before joining LAS, Ms AlSaleh was the Assistant Undersecretary for Planning and Information at the Ministry of Education in the Kingdom of Bahrain and held several positions in statistics and educational planning for the previous 25 years. She has represented the Kingdom of Bahrain and LAS in several regional and international councils and has also held key positions in projects such as national coordinator of Education For All (EFA), project coordinator of the Education and Training Reform in Bahrain and project manager of enhancing the quality of education in the Kingdom of Bahrain. Dr. Jawaher Shaheen Al-Mudhahki is the Chief Executive of the Education and Training Quality Authority (BQA), in the Kingdom of Bahrain, since 2008. She began her career at the University of Bahrain, where she held several academic and Administrative positions, where the last position was Vice-President for Administration and Financial Affairs. In 2016, His Majesty King Hamad bin Isa Al Khalifa confers the Bahrain Medal of the First Class on Dr. Al-Mudhahki in recognition of her efforts to serve the Kingdom. She is an active member or Vice-President in a number of regional and international Boards including International Network for Quality Assurance Agencies in Higher Education (INQAAHE), Association of Quality Assurance Agencies of the Islamic World (IQA), and the Arab Network for Quality Assurance in Higher Education (ANQAHE). Nationally, she is a member in The Supreme Council for Education and Training’s Development and The Government Service Centers’ Evaluation Committee. Furthermore, Dr. Al-Mudhahki was a board member in: The Accounting and Auditing Authority in the GCC; Supreme Council for Women; Higher Education Council; Academics Association; and Bahrain Accounting Association; The Women Empowerment Award Committee; and The Commission of Prisoners and Detainees Rights; and she was the editor in chief of the GCC “Arab Journal of Accounting”. Her Bachelor’s degree from the University of Bahrain, Master from the University of Denver (USA) and the Ph.D. (1996) from the University of Exeter (UK). Tala Fakhro is a seasoned and well-rounded professional with multiple skill sets, with government administration, legal, and banking experience. She manages a team of 7 at the Economic Development Board, heading the Market & Strategy Intelligence department. Tala previously had 13 years of structuring and portfolio management experience at Morgan Stanley in London, Gulf International Bank, the Saudi National Commercial Bank and NCB Capital in Bahrain. Tala has a broad and detailed knowledge of how government works, the legal and structural aspects of private equity transactions, private equity and mutual fund structures, hedge funds, credit derivatives, structured finance and alternative investment products. She has a Bachelor’s degree in Economics from Smith College, Northampton, holds a Juris Doctor from the Georgetown University Law Center in Washington DC, and has passed the New York bar exam. She is currently the Executive Director for Market & Strategy Intelligence at the Economic Development Board. Craig Naumann trained in international relations (I.E.P. Aix-Marseille), political science (Free University Berlin) and sociology (WWU Münster). He carried out doctoral research in Senegal and Afghanistan before holding a post-doctoral fellowship at Boston University. He is a research fellow at ISCTE-IUL (University Institute Lisbon). Naumann has held various positions in academic and applied developmental research, strategic planning and aid coordination; in various contexts ranging from oil-rich countries to post-conflict transformation and peace building environments. He has thematic and sectorial expertise in education, economic governance, human rights and gender issues, peacebuilding and sustainable development. Since 2001, he has been working as development consultant for various entities including the EU, USAID, and several UN agencies, funds and programmes (UNDP, UNICEF, WFP, UN Women) both at the field and HQ level. He specializes in planning and measuring transformational change and related knowledge management. As strategic planner advising national governments in Africa, Asia and the MENA region he has been involved in the design of policies, programmes and projects and related monitoring and evaluation research. His applied research and M&E experience include 30 countries. In 2015/2016, he provided strategic planning support to Afghanistan’s Deputy Minister for Policy and Strategic Planning in the Administrative Office of the President, coordinating the design of the national development strategy, following previous similar work for the NDS-PRSP M&E framework as M&E Advisor to Afghanistan’s Ministry of Economy’s Policy Unit (in 2009). Over the past three years, he has built and managed a start-up company operating as social enterprise in the field of renewable energy solutions, in Africa (Ethiopia and Comoros). He has amassed valuable hands-on experience in promoting and marketing SDG-relevant concepts for policy reform, programmes, and projects impacting on such diverse but inter-related issues as environmental protection, waste management, employment creation, social cohesion/peace building, reduction of greenhouse gas emissions/climate change, entrepreneurial efficiencies in agriculture-related industrial processes (waste-to-energy) etc. 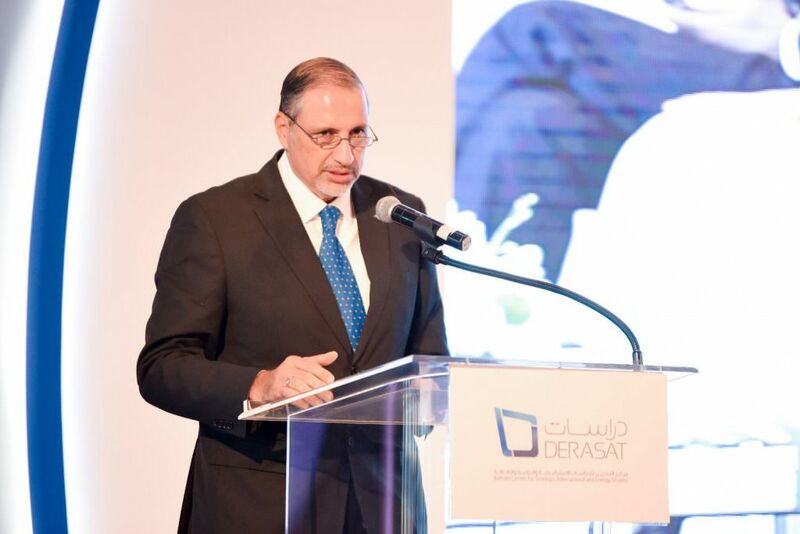 Omar Al-Ubaydli is the Acting Director of Research and Director of Economic & Energy Studies at the Bahrain Center for Strategic, International & Energy Studies (Derasat), Bahrain. His research interests include political economy, experimental economics, and the economics of the GCC countries. Dr. Al-Ubaydli previously served as a member of the Commonwealth of Virginia’s Joint Advisory Board of Economists and a Visiting Professor of Economics at the University of Chicago. He regularly publishes his research in international peer-reviewed academic journals, and his mainstream media articles appear in Arabic and English-language newspapers and blogs such as AlHayat, The National, Forbes Opinion, and US News. Dr. Al-Ubaydli earned his BA in economics from the University of Cambridge, and his MA and PhD in economics from the University of Chicago.